Hannah Arendt's The Human Condition, provides a foundation to examine the formation of identity within the context of her triumvirate, labour, work and action or the vita activa. I am most interested in her idea of an "in-between" space that captures the "reality [of]the webs of human relationships, indicating by the metaphor its somewhat intangible quality" (1958, p.183). In order to develop webs of relationships in my daily labour, work and action as both an artist and a teacher-leader, I explore the private and public spaces that are available for me to labour, work and act; the conditions that nurture or mitigate against action, and the opportunities for renewal, that is, rebirth or natality, within the plurality of others. 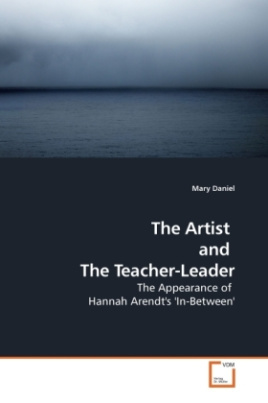 I explore the formation of my identity as both an artist and as a teacher- leader, the emerging "in-between" space between my practices and how each practice sheds light on the other. I explain how Arendt contends for us to be truly alive, we need to become engaged in action where people have an opportunity to re-create themselves. A noble aspiration for us all!